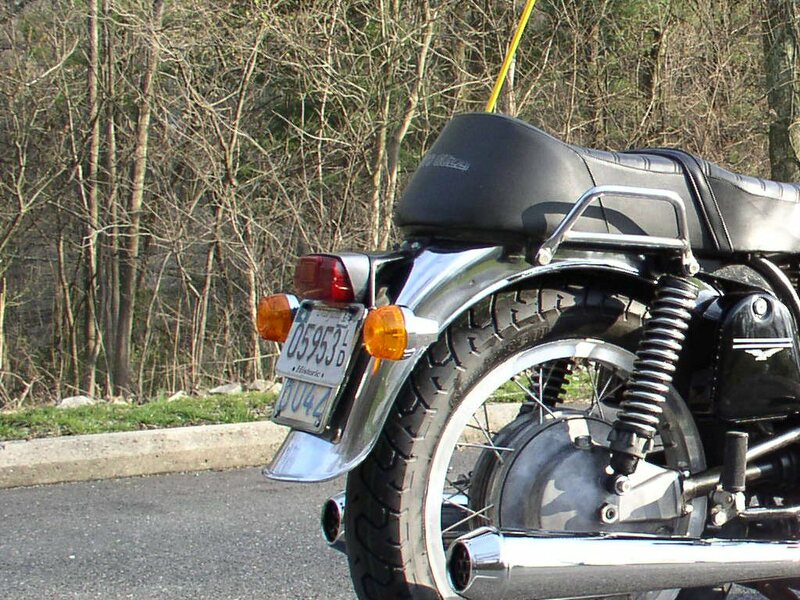 Thanks to Gerhard Ziesemann and Charlie Mullendore of Antietam Classic Cycle for sending me this information. 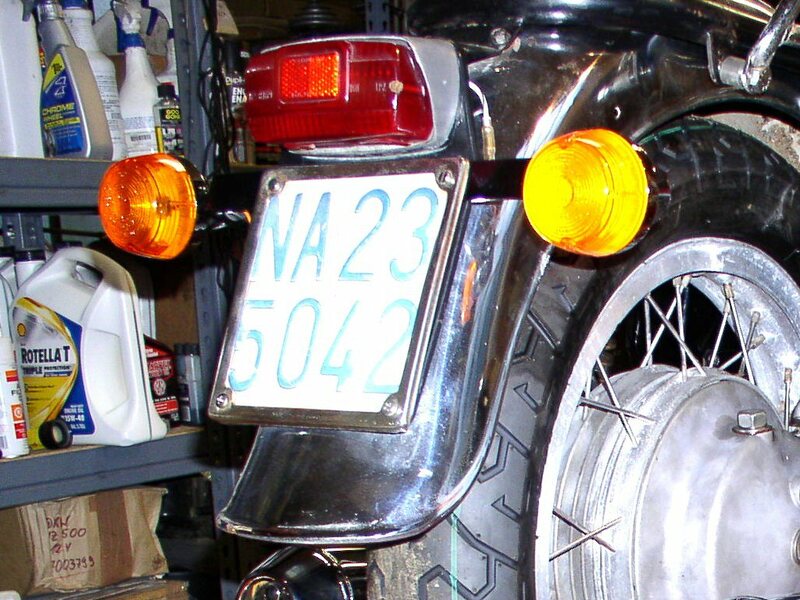 This tail light was used on some very early Moto Guzzi V700 models and on some (but not all) 850 GT models. Note the bracket is different as well (a CEV unit). The lens in Charlie's photos is labeled Catalux with the number 02 8169 . 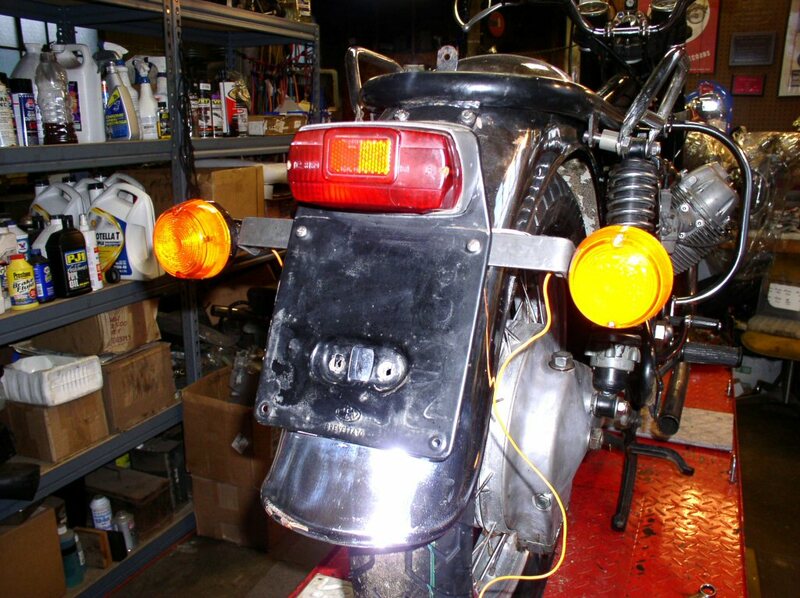 Reproduction tail lights and replacement lenses are available from Guzzino. Guzzino also carries a bracket that may work. 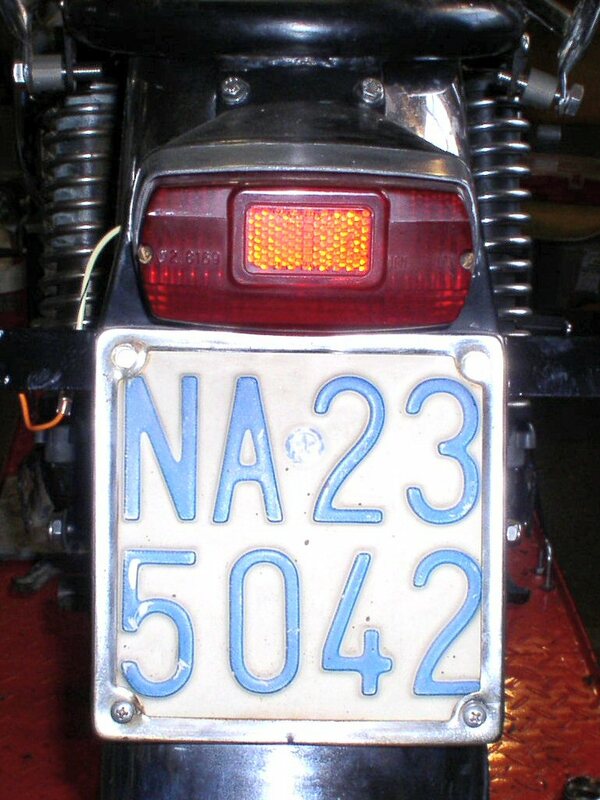 CEV 5840 tail light as used on some very early Moto Guzzi V700 models and on some (but not all) 850 GT models. Additional photos of the CEV 5840 tail light (note black bracket is different).